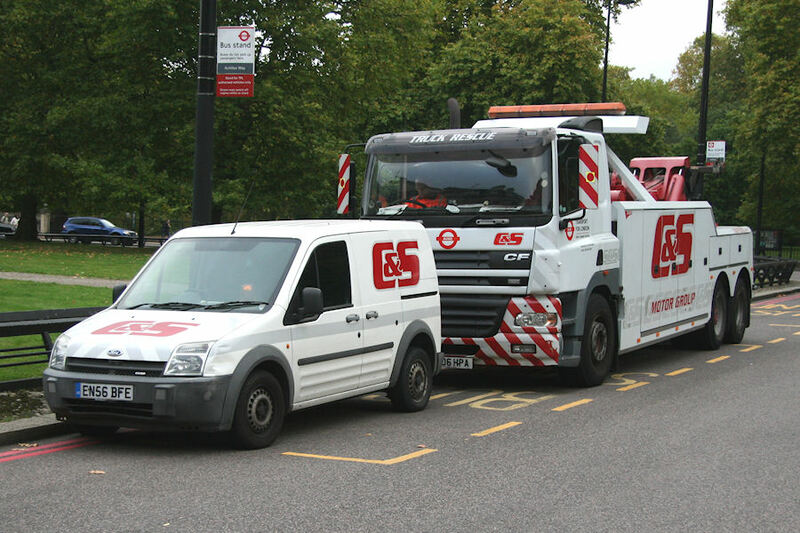 Details: C&S Motor Group have been active in London for several years, their star vehicle being DAF CF Recovery Truck EU06HPA, first noted in 2008. It gained red/white stripes on the bumper and mirror covers by 2014, and more recently has had TfL and Buses logos applied to the cab front and sides. It can often be found parked on Achilles Way, near Hyde Park Corner, as here on 14th October 2017. Joining it on this occasion was Ford Transit Connect van EN56BFE.